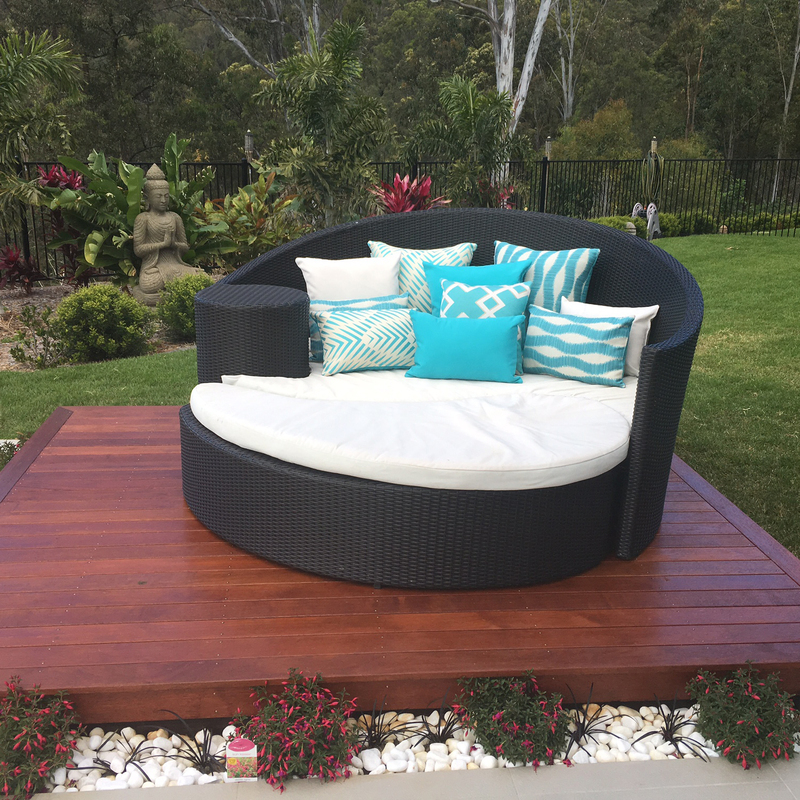 Our Collections Pages showcase our luxury range of Outdoor Soft Furnishings including Cushions, Throw Rugs, Floor Pillows, Ottomans or our Contemporary Steel Artwork. Our range is designed to be used in most outdoor areas and they are also luxurious enough to be used for indoor soft furnishings too! 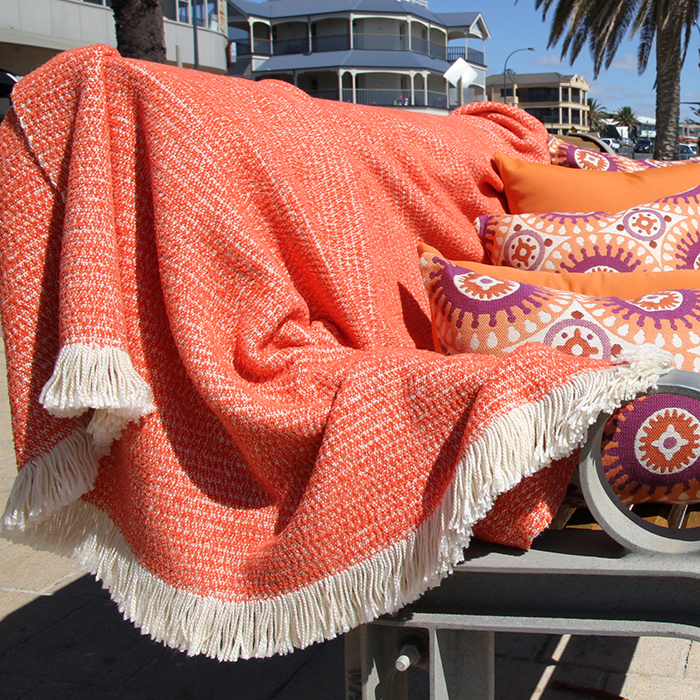 All of our weatherproof Outdoor Soft Furnishings and Throw Rugs are made with Sunbrella fabric and Sunbrella yarn. They look perfect beside the pool area, by your outdoor dining areas, piled high on your outdoor hanging chairs, hammocks, daybeds and sunloungers. 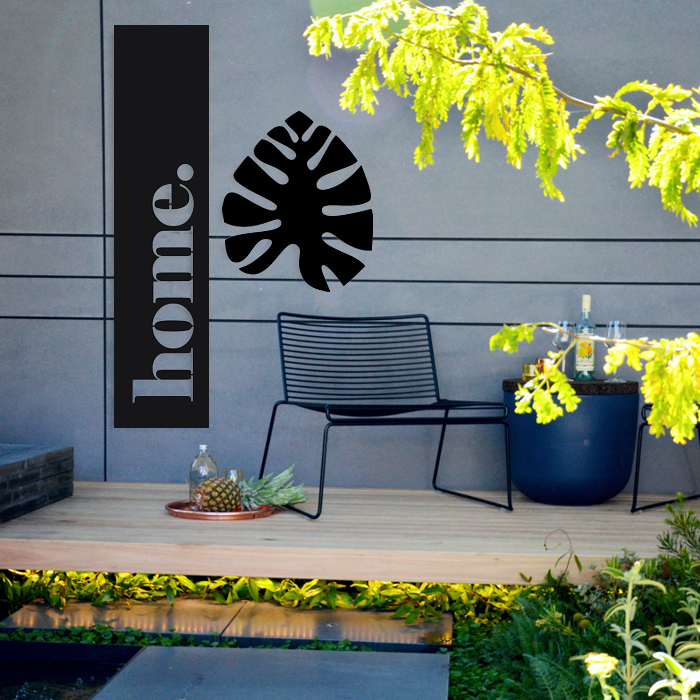 Make a statement by brightening up your outdoor bench seating areas with contemporary, unique patterns and colours. 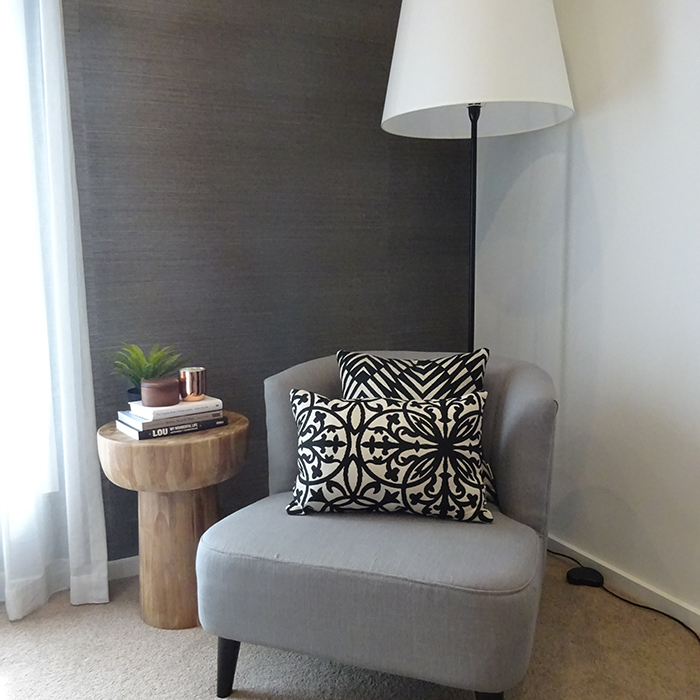 Our range of Outdoor Soft Furnishings are fade, water, chlorine, stain and mould resistant. We offer a 5 year warranty against fading. Our Outdoor Throws are also fade resistant. Our Soft Furnishings and Throws feel so soft and luxurious that they are also perfect for indoor use as well making it easy to coordinate your indoor and outdoor entertaining areas as one. With the use of Sunbrella fabric and yarn, you can be rest assured that your new Outdoor Cushions and Throws will last the test of time. Our Outdoor/Indoor Contemporary Steel Artwork is suitable for both indoor or outdoor use. We offer a wide range of designs available in Matt Black, Matt White, Stainless Steel, Recycled Industrial Steel and our brand new range Aqua-Gold.